SC 328 was commissioned at New York on 17 October, 1917. 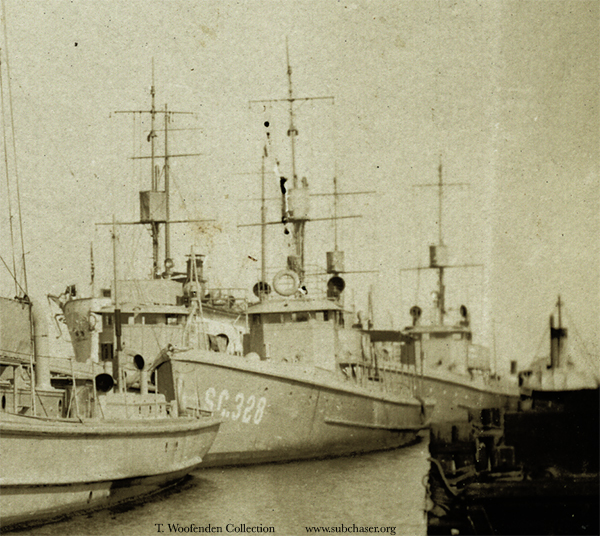 Photo: Submarine chaser SC 328. See the full image on the SC 57 page. T. Woofenden Collection.